Walking down the streets I enjoy to see quite a few well known faces and quite a few people and friends are saying : welcome back ! 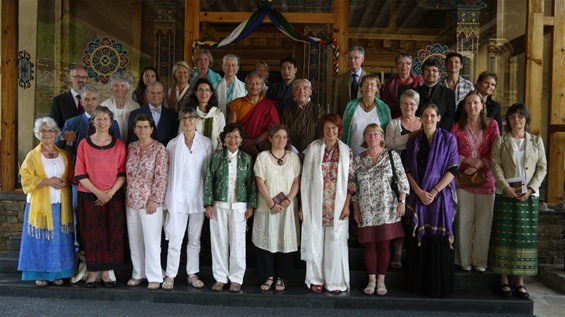 But as said previously in one of my old blog entries : I love to be here with Tho in Bhutan, I love to be in Vietnam with my Eurasia team and friends, and of course I love to be in Switzerland with my family…there is only here and now to be happy…right ? and this is my life ! It was a mature group, with very serious practitioneers. 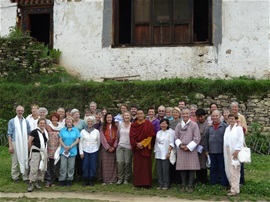 All went smoothly and after a few days I felt we were all together deeply into mindfulness helping each other to deepen our understanding and practice of GNH and Mindfulness. 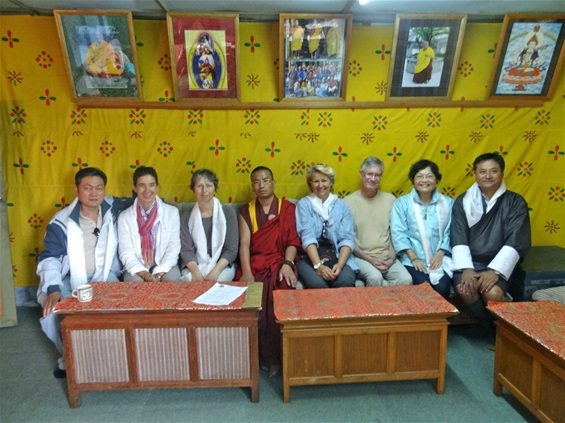 It was wonderful to experience the deep understanding and the very inspiring and « down to earth » aproach of the GNH Centre team and friends and how all participants left with intentions of implementing GNH inspired initiatives. Networks came about and ideas that bring hope and enthusiasm ! Yes as the new PM of Bhutan says : GNH is an idea who’s time has come ! Yes I can imagine that some people were annoyed and hindered in their activities with the no car day, but I really did enjoy it ! May be I am getting older…I truly think these are so precious moments that make life worth living…one step at a time , walking with family, with friends old and new…on the path…there is no way to happiness, happiness is the way !